It is yet another season to celebrate the gift of love. As lovers, friends and families gear up to Valentine's Day, it is important to give the right gifts. You cannot help but see the overly commercial approach to this day of love. In many ways, companies love Valentine's to get their products and services moving. On the flip side, you have more opportunities to make a great impression to the person you love. So, why can't you just show love without buying anything? Do you have to part with an arm to make your lover happy? Which gift should you get to please your partner male or female? These are pertinent questions and below is an exploration on the same. Must you spend money to buy gifts on Valentine's Day? This is largely a very personal question. If you are in a serious committed relationship, the thought of buying a gift will not come with a negative connotation. If you are dating casually, your mind and heart may not be fully invested; and hence buying anything on this special day becomes a chore. 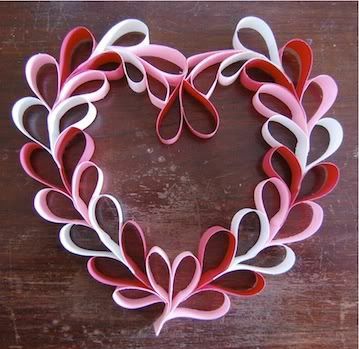 For others who are committed but are keen to save money, creating a DIY Valentine's gift is a good option. However, your creativity must be in top gear to fully impress. Some people will express their love by serving breakfast in bed or doing extra chores in the house. If your partner is not keen on material gifts, you can get away with not buying anything. How much should you spend on a Valentine's Day gift? The good news is that you can get cheap, quality stuff in great variety to make a huge impression. You really do not have to spend money you do not have. Your budget will really depend on individual preference. The benefit of shopping online for gifts this Valentine's is that you access wonderful deals that will not burn a hole in your pocket. In fact, to really save money, visit your local online mall and start looking at the offers available. You will be surprised at how many things you can get. How do you choose the ideal Valentine's Day gift? - First, you must choose something that is within your budget. There is no point is spending too much and regretting later. - Go with something she likes, something with a sentimental value. Therefore, know her likes and dislikes before choosing. - Choose something appropriate depending on the type of relationship you have. If you have dated for one month for example, there is no need to surprise her with lingerie on this day. Go for something with a deeper meaning. - You can choose something functional or decorative. For example, you can get her a dress that she can wear; or you can get a keepsake to decorate or store at her space. - If you choose to make the gift yourself, make sure the gift is of good quality. Sometimes, DIY gifts are mistaken for low quality gifts. - If you choose to buy her flowers, know which ones she likes. Some women do not like chocolates or prefer one brand over another. Know what will please her. - Consider the implication of your gift. If you are not married, does your gift hint to a coming proposal? Are you looking to take it to a higher level? If not, make your gifts simple and casual. - If you are looking for a gift for your female relative like a mother or sister, get something more functional. In most cases, your family members will be happy that you thought about them. - There is a huge chunk of women who are not aware that even men need gifts on Valentine's Day. Whether dating or married, showing your man that he matters is crucial; a gift will go a long way. - Get creative and choose something that your man will appreciate. Any sentimental piece will work great. - If you choose to buy clothes or shoes, make sure to get the right fit. Ill fitting gifts do not make the right impression. - Do not spend too much or too little for the gift. As you let your budget guide you, choose something appropriate for your level of relationship. - If you choose to surprise your man with dinner, plan properly so that everything falls into place. Men can get impatient at times. Therefore, whether you are dating or not, make this year special; gift somebody a smile. Make an impression to celebrate the priceless gift of love.